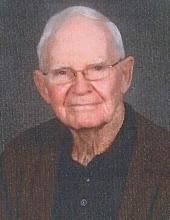 Bobby Franklin Proffitt, 85, of Flatwoods, widow of Gabriele H. Proffitt, passed away Friday afternoon, November 23, 2018 at Community Hospice Care Center with his family by his side. Bobby was born November 27, 1932 in Ashland, Kentucky to the late Everitt and Edna Adkins Proffitt. Bobby proudly served his country in the US Army and later retired from the Maintenance Department of Mansbach Metal. He was a member of Holy Family Catholic Church. In addition to his beloved wife, and parents, Bobby was preceded in death by two brothers, Charles Proffitt and Everitt Proffitt and four sisters, twin infant sisters and Garnet Crawford and Juanita Tomlin. He is survived by his sister, Shirley Maggard of Ashland and a host of nieces, nephews, extended family and friends. Funeral services will be conducted Monday, November 26, 2018 at 1:00 PM at Holy Family Catholic Church. Entombment will follow in Rose Hill Burial Park. Military services will be conducted by Kenova American Legion Post #93. Visitation will be from 12:00 noon until service time at the church. To send flowers or a remembrance gift to the family of Bobby Proffitt, please visit our Tribute Store. "Email Address" would like to share the life celebration of Bobby Proffitt. Click on the "link" to go to share a favorite memory or leave a condolence message for the family.